A team of scientists from Griffith University in Australia and Nanyang Technological University (NTU) Singapore have developed a quantum-powered machine that accurately simulates future outcomes. This research has huge implications at the intersection of quantum mechanics and machine learning. 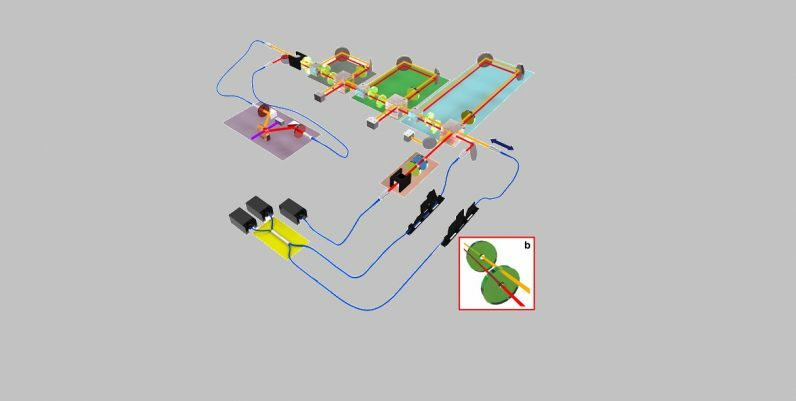 The team created a photonic quantum information processor that determines the possible trajectories of single photons of light at the same time, using quantum superposition, then ranks them by order of probability. If this sounds complex, it’s because it is: this is a unique experiment and, to the best of our knowledge, the only of its kind to prove successful. Humans spend a significant portion of our time making decisions based on expected or theoretical outcomes. When we hear a kitchen timer go off, for example, we might check the oven because a potential outcome of ignoring the alarm is burnt food. As we remove our cooked food from the oven we choose not to grab the pan or tray with our bare hands because we can easily predict that the hot material will harm our skin. This kind of decision making is easy — we can rely on whatever data we have available. But in the world of machine learning, we aren’t talking about just a handful of choices. Instead, we’re worried about large-scale data issues, such as how to optimize stochastic process predictions. These are systems with random variables, so you can’t really code a static input/output method to figure out what’s going to happen next unless you use algorithms to account for them. When we think about the future, we are confronted by a vast array of possibilities. These possibilities grow exponentially as we go deeper into the future. For instance, even if we have only two possibilities to choose from each minute, in less than half an hour there are 14 million possible futures. In less than a day, the number exceeds the number of atoms in the universe. For this reason, physicists and machine learning researchers are working on ways to implement quantum solutions to problems that go beyond the limitations of classical computers. Machine learning researchers typically focus their efforts on a combination of brute-force classical computer hardware (often using thousands of GPUs or CPUs at a time to train systems and run prediction algorithms) and the development of more robust algorithms. But the promise of quantum computing is that we’ll be able to do more with less. Scientists believe quantum systems will display advantage over classical systems – by which we mean they’ll surpass the limitations of binary computational systems – in many capacities, including overall processing power and memory optimization. Our multi-step photonic implementation of a stochastic simulation has verified the memory advantage available with quantum resources. We have demonstrated that it is possible to maintain this advantage at all stages of the simulation by preserving quantum coherence, as opposed to previous experiments. Further, we have shown that superpositions of process outcomes can be interfered. These techniques have the potential to reduce memory requirements in simulations of stochastic processes and to provide tools for advances in quantum machine learning and communication complexity. It bears mention that this research is in its early days. We’re still a long ways away from handheld Magic 8-Balls powered by quantum algorithms – the device can only simulate 16 futures for now. But the algorithms powering it can scale infinitely, at least hypothetically. And that means you don’t have to be a physicist to predict the future of machine learning is quantum AI.